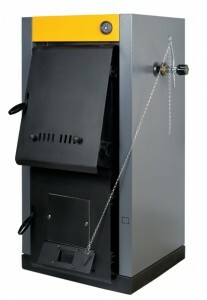 Furnaces have a long history as residential heating systems. After all, the first fireplaces were basically the original furnaces, and ever since people started to construct pipes connected to stoves to distribute heat to other parts of a building, furnaces have been the most common kind of central heating system. But the boiler has a long history as well. Boilers didn’t become prominent in homes and commercial buildings until much later than furnaces, but they’ve been common since the 19th century. Boilers offer a number of excellent advantages that have kept them around for all those decades: energy-saving performance, clean heat that doesn’t blow around dust, and a toasty warm feeling that people often prefer to the forced-air comfort that comes from a furnace. Boilers have changed immensely since their first introduction, of course. Perhaps the biggest change of all is that most boilers today don’t actually boil anything, but instead use hydronic power. When it’s time for a new boiler, there’s a lot you have to think about. How long will the process of installation take? What will be the impact on your home? And who should you call for the job? While the steps of boiler installation very depending on the size of your home and the state of your older heating system, the most important thing is to choose a company with plenty of experience on the job. To get in touch with a heating contractor experienced in heating installation in Burlington, VT, call on the help of the skilled technicians at Red Rock Mechanical. The fact is that new boiler installation will take quite a while: multiple days, in most cases. Removing the older boiler can take several hours, as can determining the state of the existing pipes. Furthermore, the technician will have to size your home and make some careful measurements regarding the type and size of system to use as a replacement. Sizing a boiler is not as simple as using the measurements from the older unit. It’s possible that your existing boiler was sized improperly for your home or that you need a different type of system to accommodate your home. An oversized boiler consumes far too much energy, while a smaller boiler can become overworked and fail early on. Your technician will work with you to select an energy efficient heating system that will save you money over time. The actual installation process requires a professional for several reasons. First, your technician will make sure that your new installation is up to code. And the installation process itself can be difficult, tedious, and unsafe. Experienced heating technicians use years of training to make sure they use the most up-to-date installation techniques only and make sure to check their work thoroughly. It’s difficult to detail the installation process for your particular needs, as it depends on whether you need in-floor piping, baseboard units, or any additional fittings for your home. Most likely, the process will take several days. Call Red Rock Mechanical today for heating installation in Burlington, VT. We’ll detail the process so that you stay informed every step of the way. Heating in Vermont is no laughing matter, and while the initial investment in a new heater can be high, it pays dividends both in terms of comfort for your family and in your monthly heating bills. Getting to know your options is a smart way to select the right heater for you, and to make sure that the heating installation proceeds as it should. In the first place, you need determine the heating needs of your home so that you can get a heater that can handle the load. A heater that’s too small won’t be able to do the job, but it may surprise you to learn that a heater that’s too large can be just as problematic. Large heaters will do their job too quickly, which means they’ll cycle on and off rapidly throughout the day. That takes up a lot of unnecessary energy, as well as placing undue strain on the heater itself. A heater that is sized just right for your home (factoring in such components as insulation and sun exposure) will get you the best value for your dollar. Then there’s the question of efficiency. Older heaters are usually less efficient heaters, which is a very good reason to upgrade to a new one. Furnace efficiency is measured in AFUE (Annual Fuel Utilization Efficiency) ratings, measured as a percentage. The higher the percentage, the more energy is used in actually heating (as opposed to being lost through one means or another). An easy guide is to look for furnaces with the EnergyStar label, given to gas furnaces with an AFUE of 95% or greater and oil furnaces with a rating of 85% or greater. For Burlington, VT heating installation, it pays to have a qualified expert by your side. The technicians at Red Rock Mechanical have been in business for over 20 years, and can help with getting to know your options before performing the installation you need. Call us today to set up an appointment.